This week we’re providing you with up-to-date information about the credit card offers available from Discover Card. 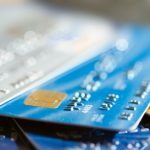 This post is part of our ongoing Saturday series through which we present the best credit card offers in the market. 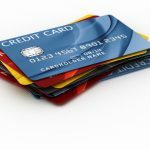 The goal of this series is to assist you in sorting through the many credit card offers out there in order to find the cards that are right for you. 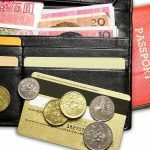 In previous weeks we’ve presented information about PenFed credit cards, Chase credit cards, Citibank credit cards, the Top 8 Balance Transfer cards, the best Low Interest Credit Cards and the top Free Rewards Offers. 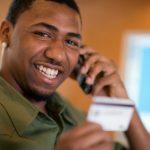 Discover cards have been featured in some of those posts but now we’ll look more closely at all of the best credit cards from this provider. 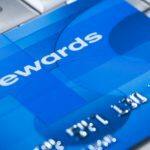 Discover More is a cash back bonus rewards card that is especially ideal for people who want one of the best balance transfer credit cards from Discover. It has a 0% Intro APR for 15 months on balance transfers. The 0% Intro APR is also good on purchases for 15 months. This credit card comes with cash back rewards and perks. Rewards on this card are cash back rewards with up to 5% cash back bonus on certain spending categories up to the total purchase dollar amount specified in each program, limitations apply and up to 1% cash back on all other categories and up to 20% Cashback Bonus at popular retailers when you shop online through Discover. Perks include total fraud protection with a $0 Fraud Liability plus automatic mobile and email fraud alerts. There is no annual fee for Discover More. Discover® More Card – 18 Month Promotional Balance Transfer. Discover More is currently offering 0% intro APR on balance transfers for 18 months and purchases for 6 months, then the standard variable purchase and balance transfer APR of 10.99% – 20.99%. The Discover Motiva credit card is a terrific credit card for people who always make on-time payments. That’s because this credit card rewards you when you pay on time. You can get a bonus each time you pay at least the Minimum Payment Due by the Payment Due Date for each billing period in which there is a required payment. This card offers 0% APR for 15 months on balance transfers and purchases. You receive up to 1% cash back on purchases after your total annual purchase exceeds $3, 000 and can receive up to 20% Cashback Bonus at popular retailers when you shop online through Discover online shopping mall. If you make your balance transfers at the time of your application then the balance transfer fee is a low 3%. There is no annual fee on this credit card. The Discover Student Open Road card is a cash back rewards card for students. It’s ideal for students because it provides extra cash back on gas and dining expenses – two spending categories that are popular with most students. Receive 2% Cashback Bonus automatically at gas stations and restaurants each month up to $250 per month on purchases made in those two spending categories. Students who are interested in getting money back for all of their various expenses can benefit from this card. Receive up to 1% cash back on all standard purchases and up to 20% Cashback Bonus at popular retailers when you shop online through Discover. The Discover Student Open Road credit card offers 0% Intro APR for 9 months on purchases. There is no annual fee on this card. Note: Offers change frequently; please be sure to check the offer website to ensure all details and information are correct.